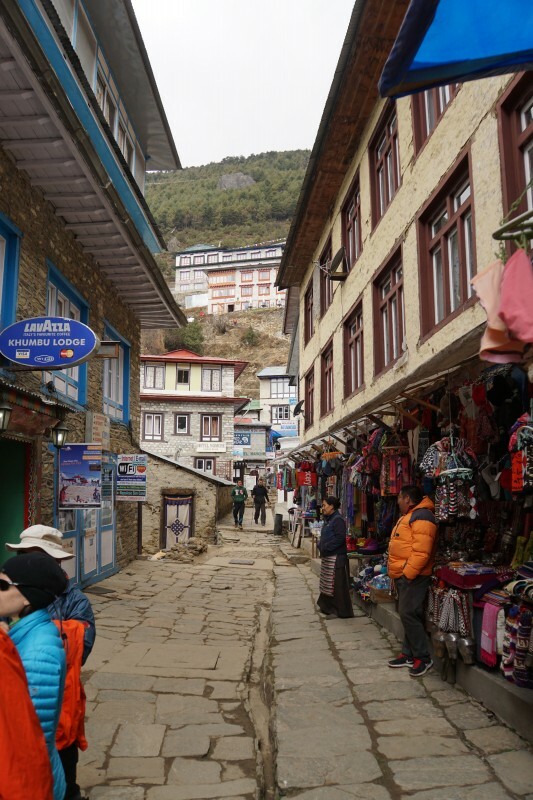 What a lovely rest day in Namche. The purpose of rest days is… to rest, meaning to allow our bodies to acclimatize to the increasing elevations. 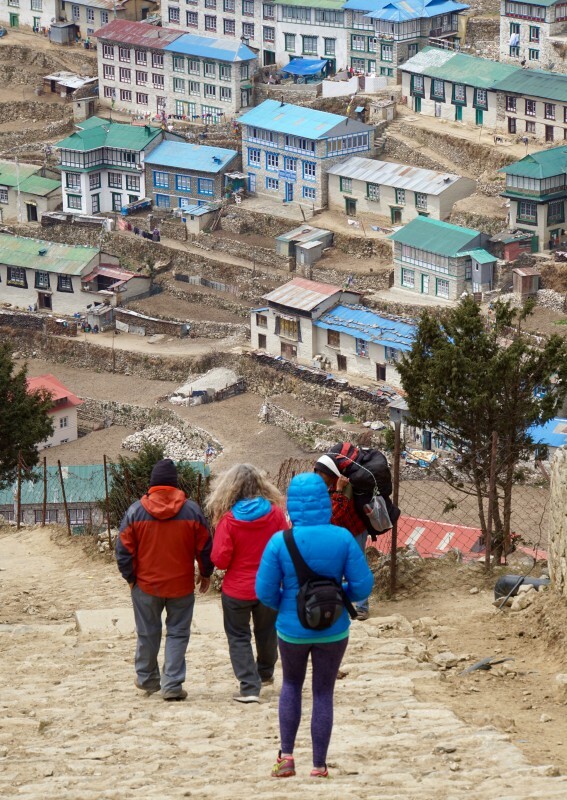 Namche is about 11,200 feet AMSL, so if we push it too hard we could end up with headache, nausea, fatigue, etc. Rest days rarely involve sitting around. We have a choice of activities for these days, involving hikes or walks of various levels of vigor. I was feeling fine… just fine… but wanted to take it easy. A little diarrhea, a little sore throat… all signs that it was a fine time to keep things simple. 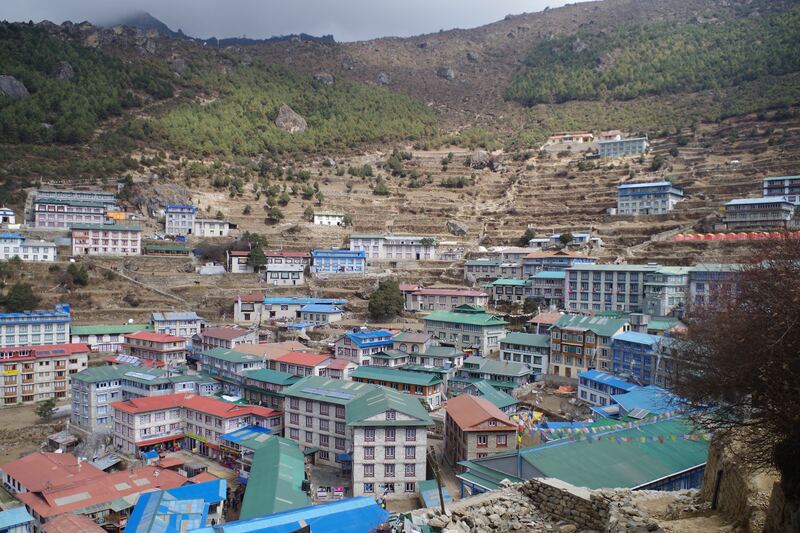 Last time we were in Namche I hiked to the Everest View Hotel, a memorable hike in the driving snow. 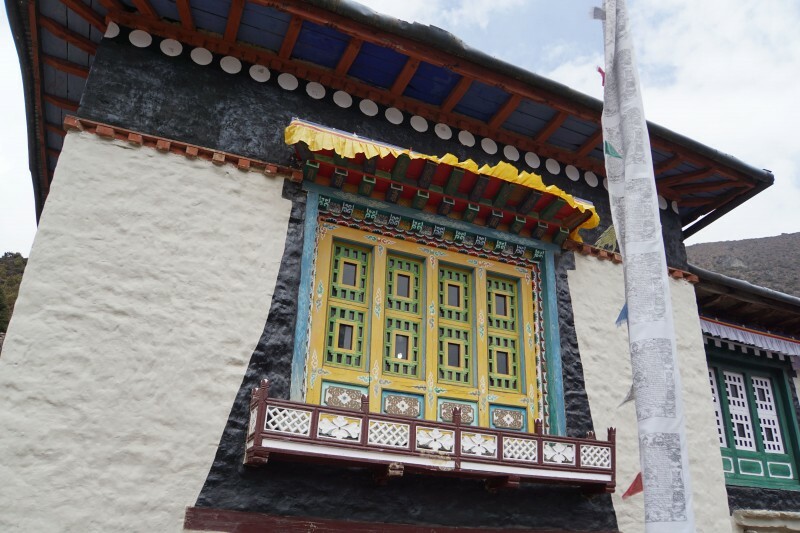 This meant I was not able to visit the sherpa or national park museums at the top of town, and I was eager to do so. Plus, I had to pick up some odds and ends at the shops in town. Thus, the plan was for a chill day. Getting our act together for our walk up to the museums. 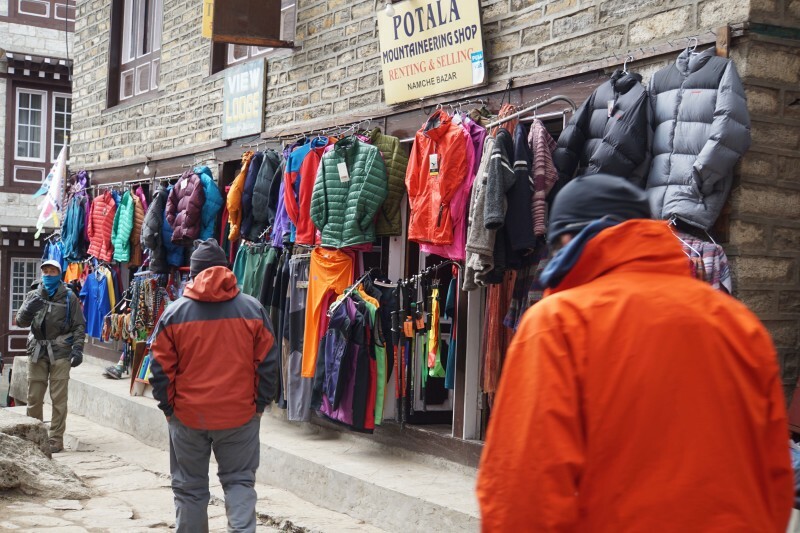 Gear for sale on the streets of Namche. Emily Johnston, Lopsang, and Jerry. I love this form of transportation safety. 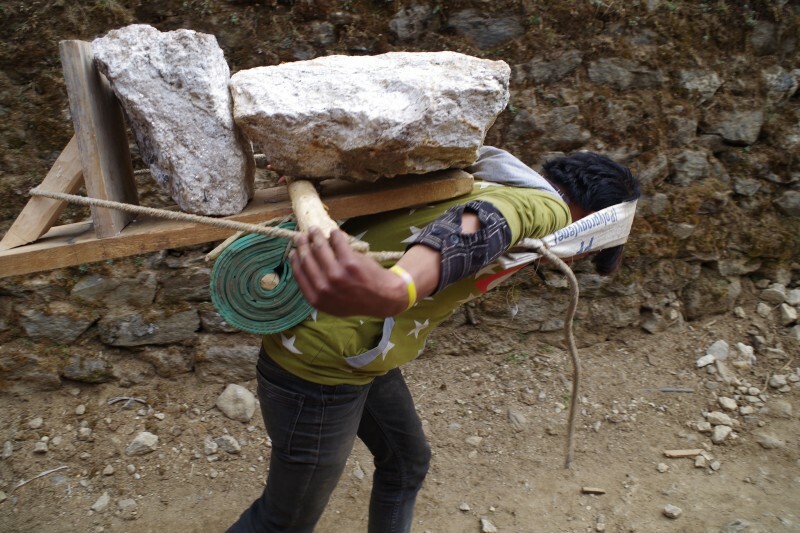 Trekking pole tips put to good use. 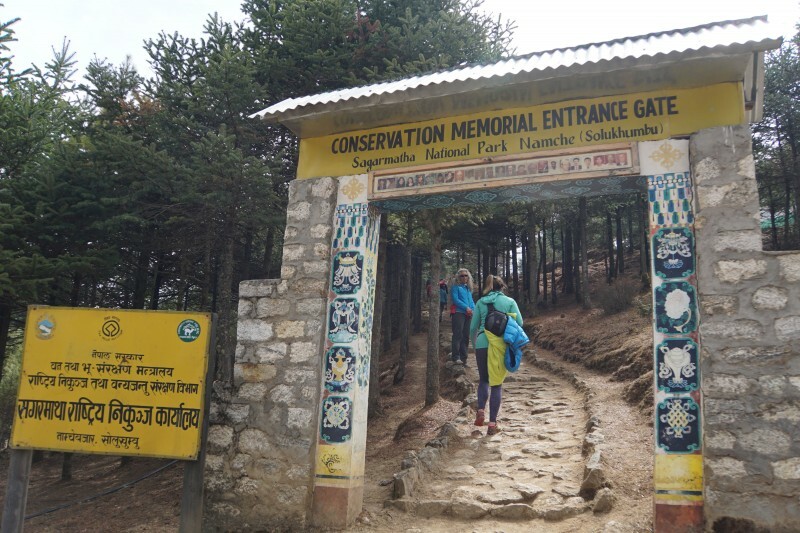 The trail up to the Everest View Hotel…. 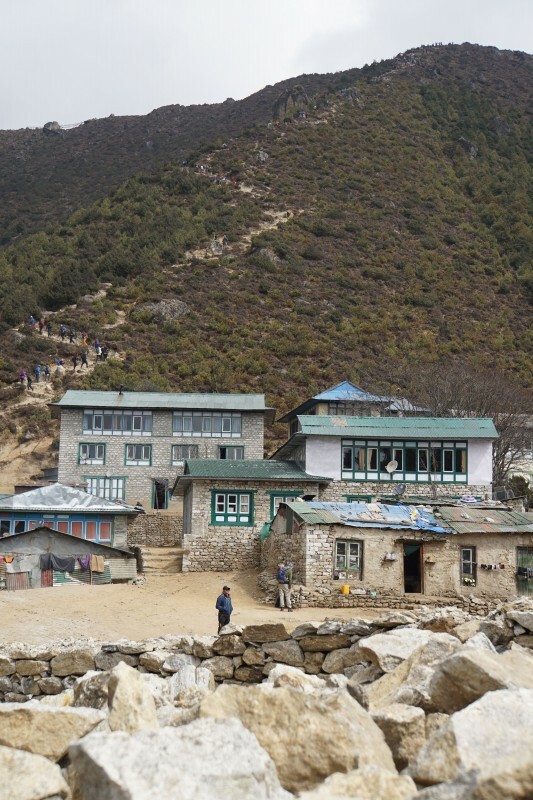 our buddies are there, just above the roof of the tea house on the left. On the way up to the museum we walked right past our camping site from the year before, where we stayed during the evacuation. 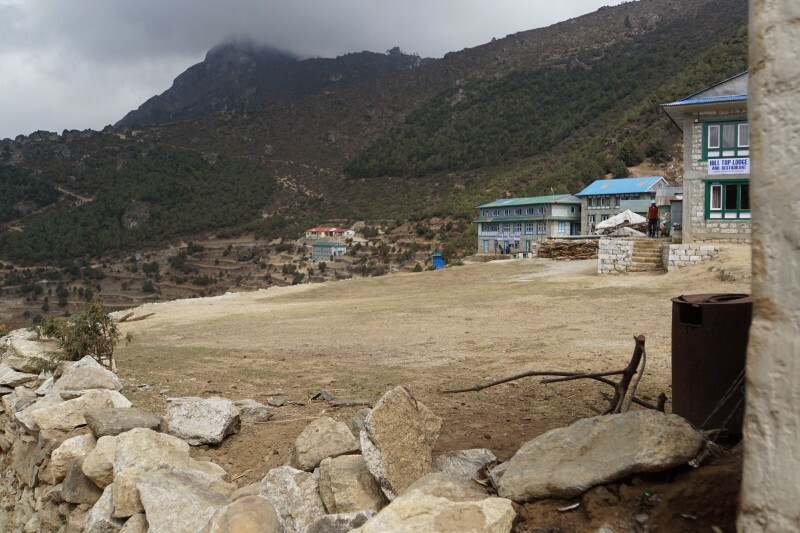 The field where our tents had stood was beaten down, empty, and just so sad. Rather, my memories of that time were sad… Once again, it felt strange to be back. 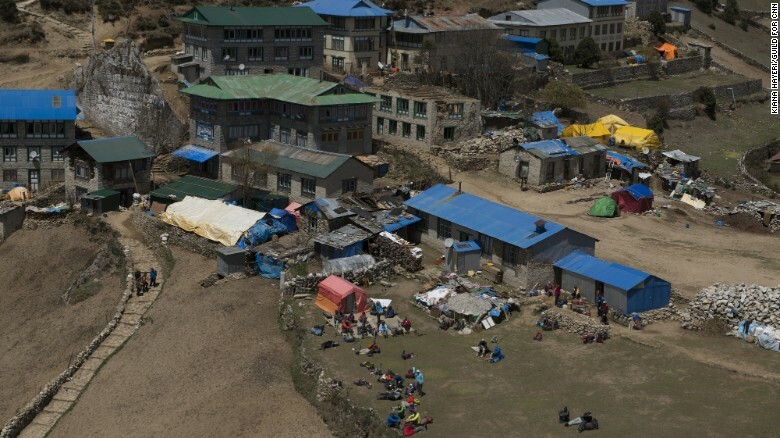 This photo was on the home page of CNN.com on 5/8/15… I recall watching the helicopter hovering overhead while we were sunning ourselves. We are clustered on the bottom of the photo. The same site today… sad, empty, and melancholy for me. I recall the outhouse well… too, too well. The view from our old campsite. The museums were fascinating. 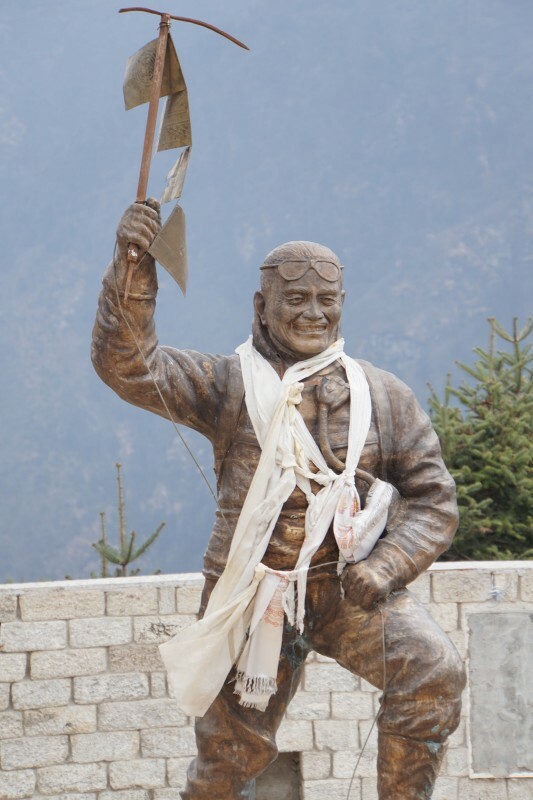 The national park museum contained some exhibits with facts about the mountain that were new to me, and an amazing sculpture of Tenzing Norgay. 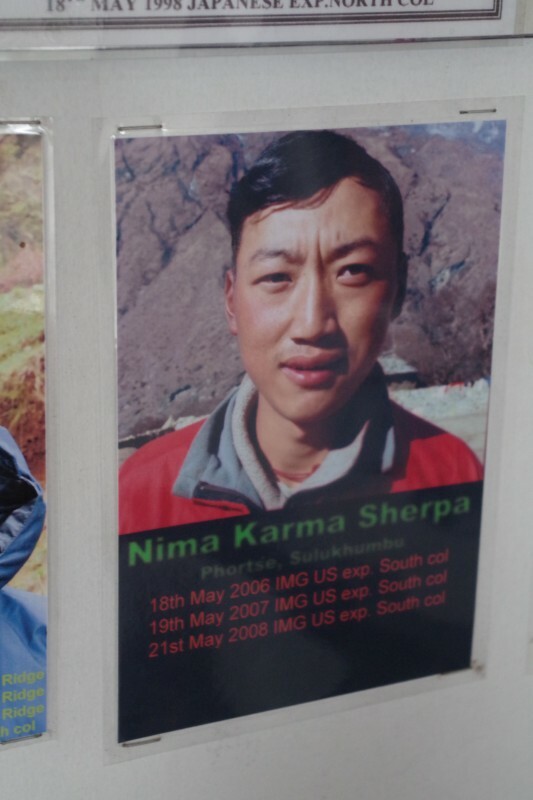 The entrance to the museum is adorned with photos of 23 people who died in a helicopter crash in 2006 while on a mission to help conserve the Khumbu’s natural resources. Very moving. 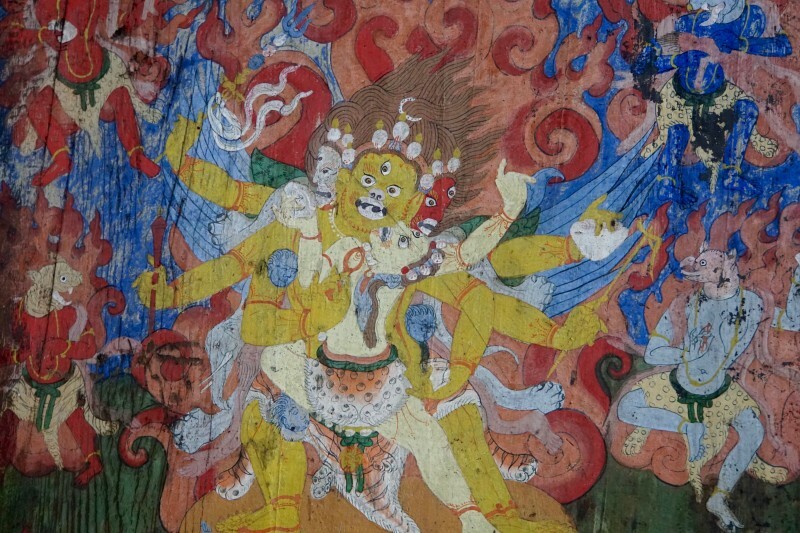 Closeup of one of the murals at the museum. A huge raptor soars over the National Park Museum. Tenzing Norgay, first to climb Everest with Ed Hillary. Hero to the nation, beacon to the world, an inspiration to all. I love this place. 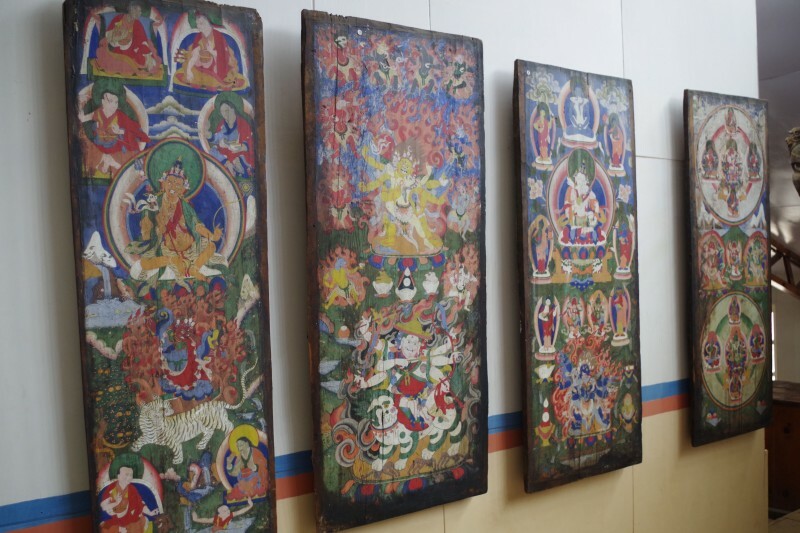 The Sherpa museum was even more impressive. 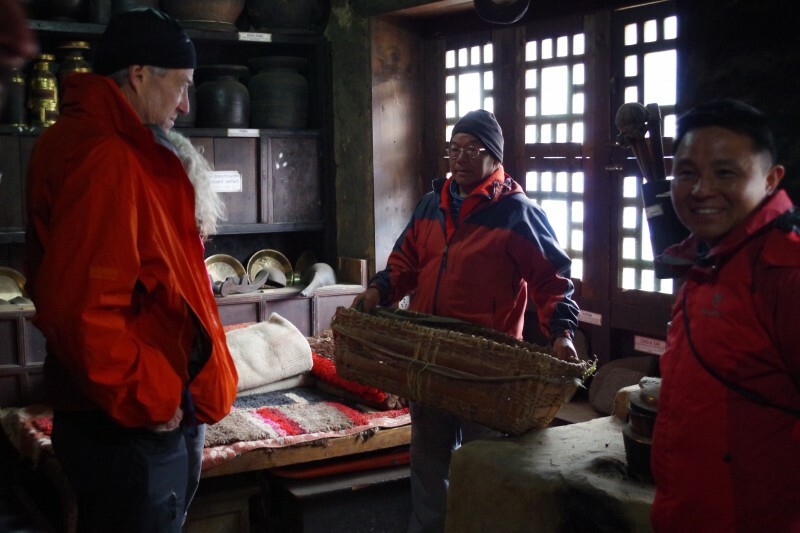 Lots of artifacts from traditional Sherpa life, and lots of artifacts from the conquest of Everest. 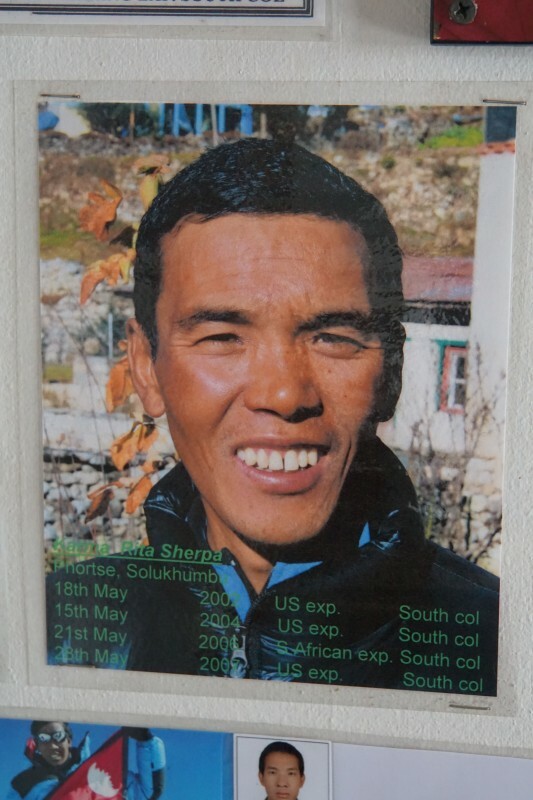 My favorite part of the exhibit was the countless portraits of Sherpa mountaineers who have reached the summit. Many were teammates from last year, and it was so amazing to see them on the wall of fame. 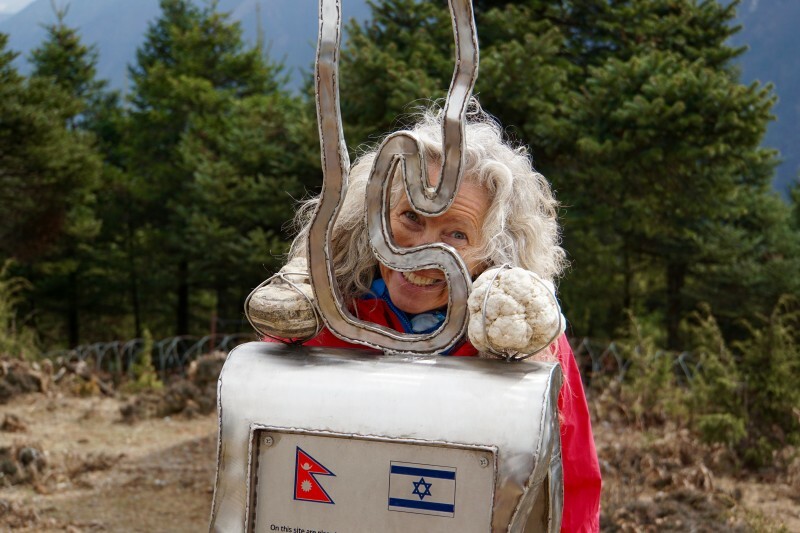 They are living legends, and we are so lucky to climb with them. 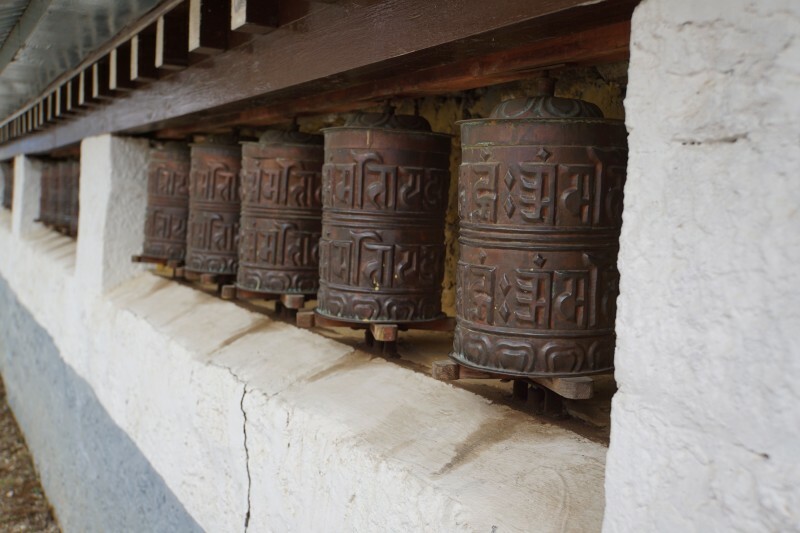 Prayer wheels at the Sherpa museum. 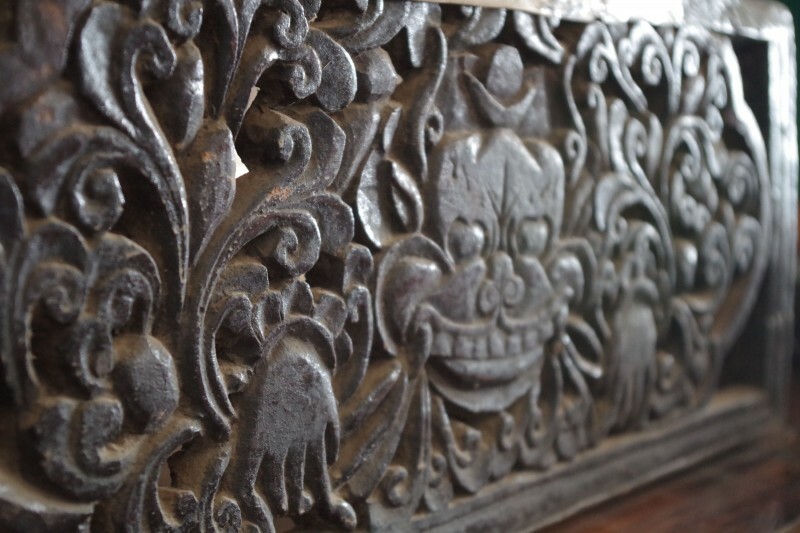 A traditional home at the museum, which you can enter and explore. Very cool. 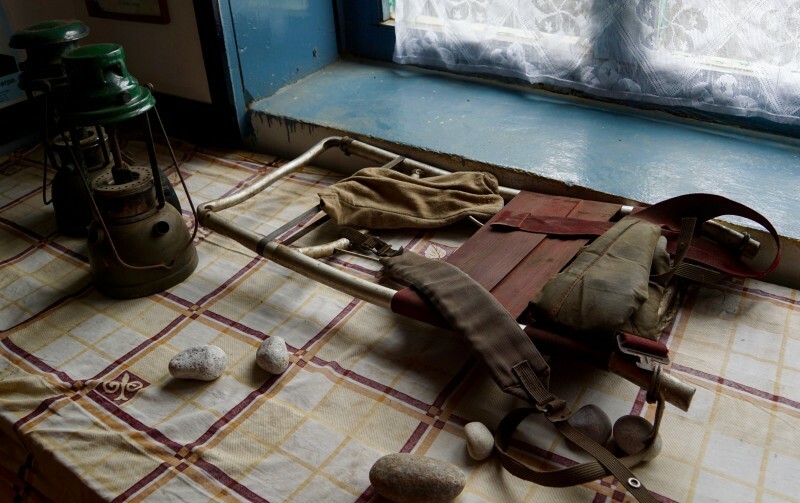 An old-school frame pack, from days gone by on Everest. 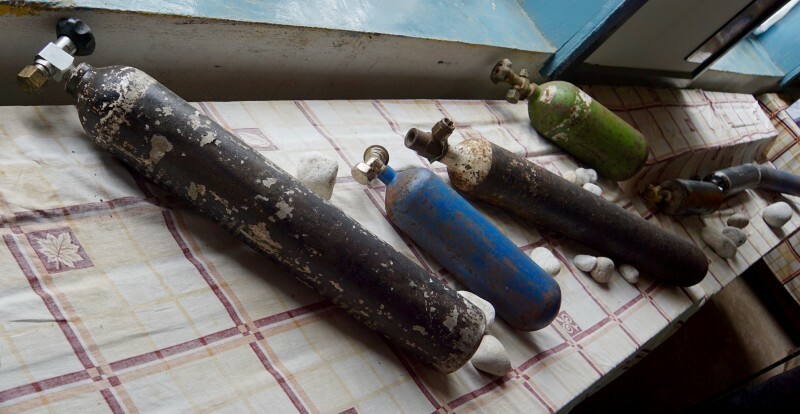 A variety of O2 cylinders have been used over the years. 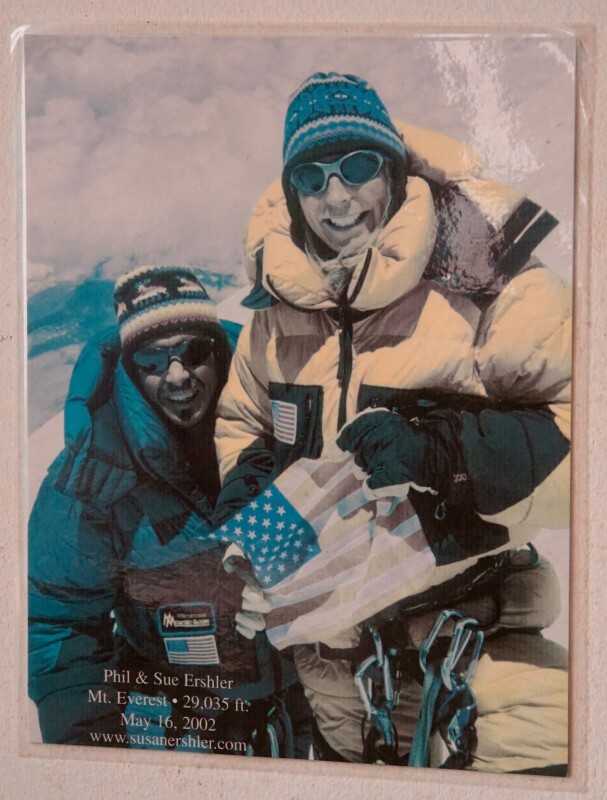 Phil and Susan Ershler, two of my heroes, displayed proudly on the museum wall. 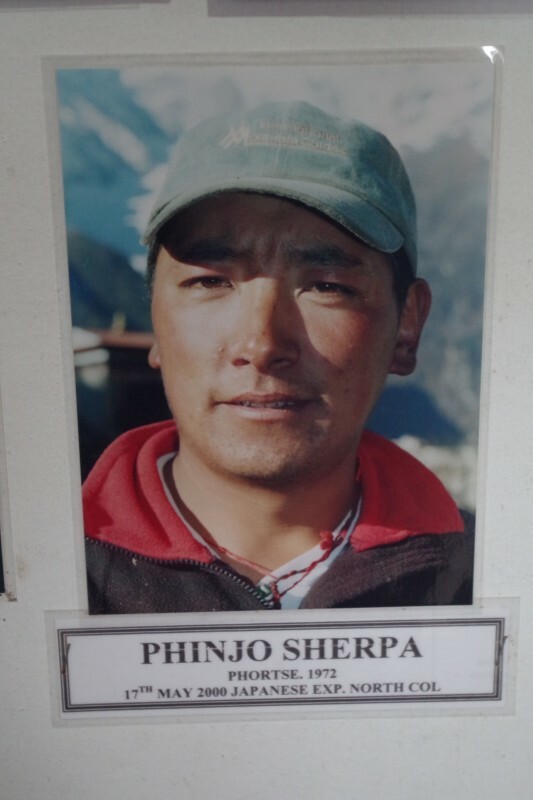 Phinjo Sherpa, our amazing guide from last year. 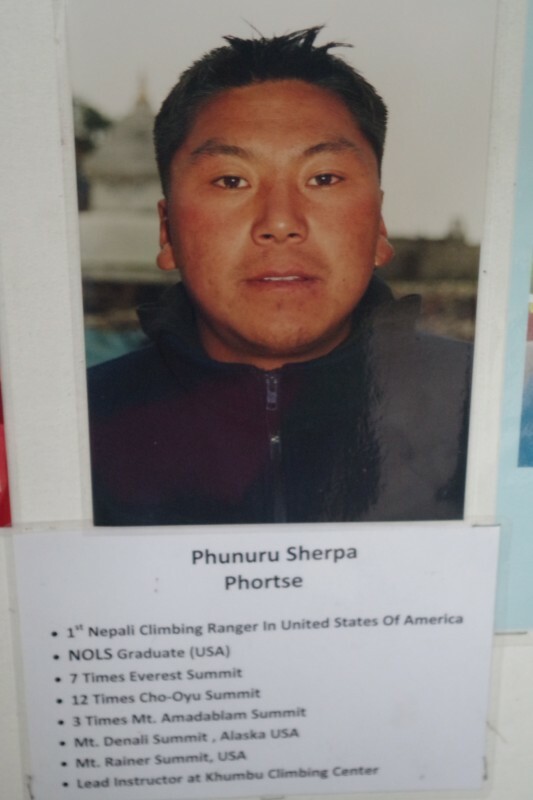 Phunuru Sherpa, our guide and friend. We are eager to see him at EBC soon! 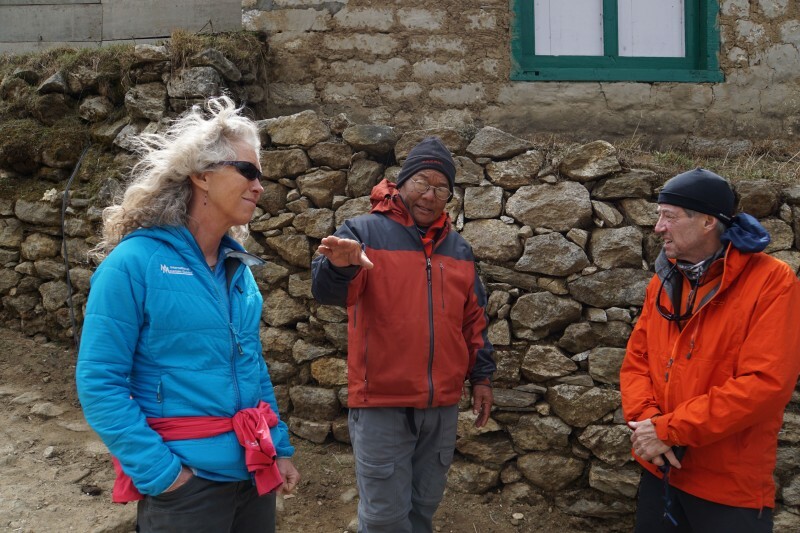 Nima Karma Sherpa, one of our guides from last year, and we were lucky to bump into him on the trail yesterday! 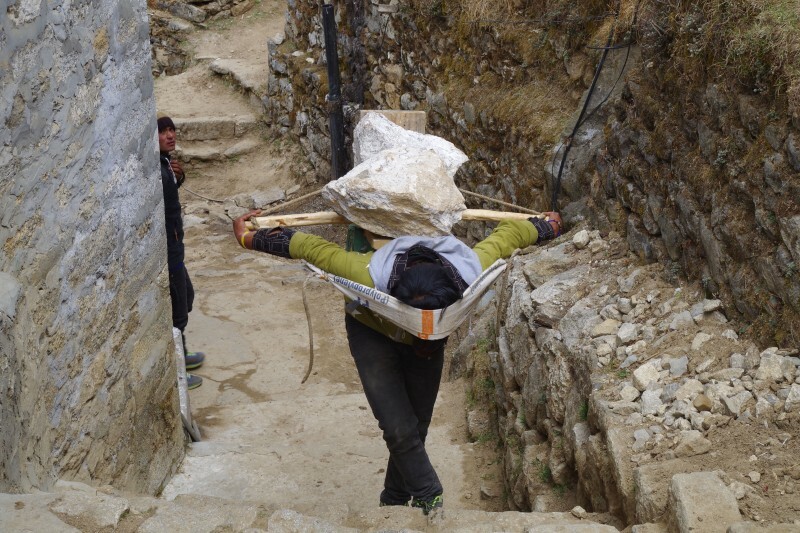 Karma Rita Sherpa, one of our guides from last year… brother of my trusted climbing Sherpa Pasang Kami… father of the amazing Sherpa Fura. 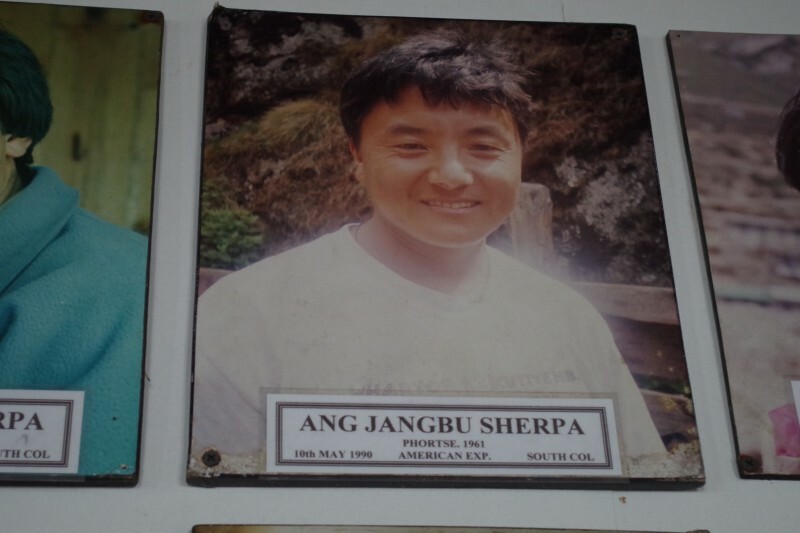 Ang Jangbu Sherpa, our co-leader of the expedition, in his rightful place on the wall of fame. 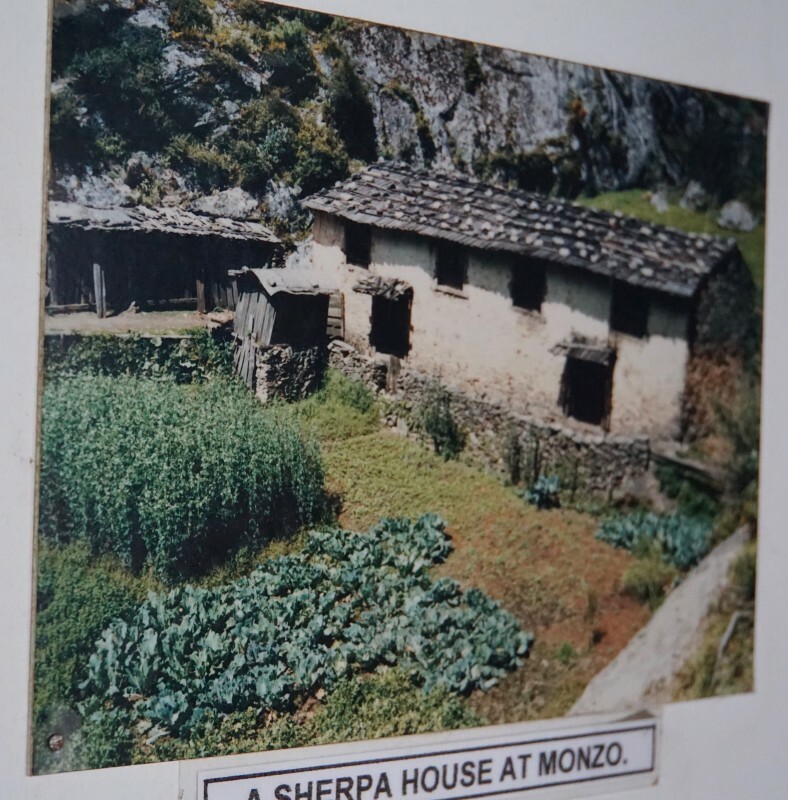 This home in Monjo, displayed in a photo in the Sherpa museum, was the same ruined one we passed on the trail the day before. 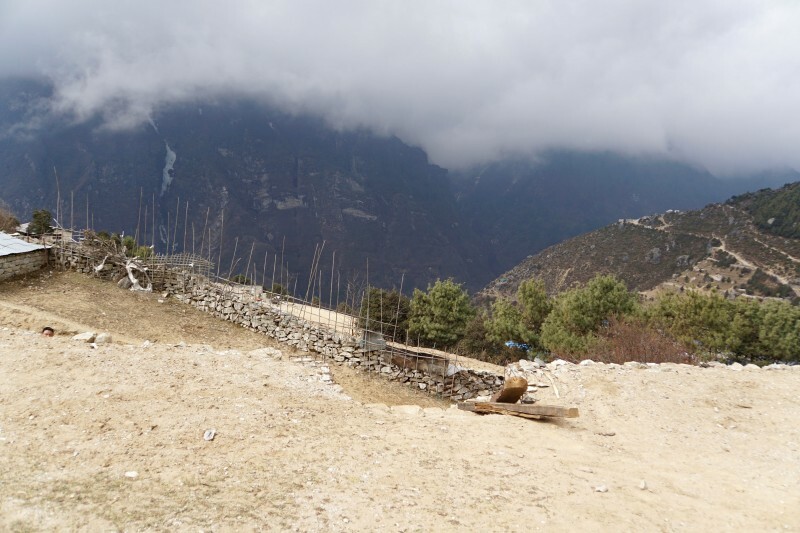 The best part of the day happened on the way down to lunch, when we visited the dental practice of Dr. Nawang Doka Sherpa. 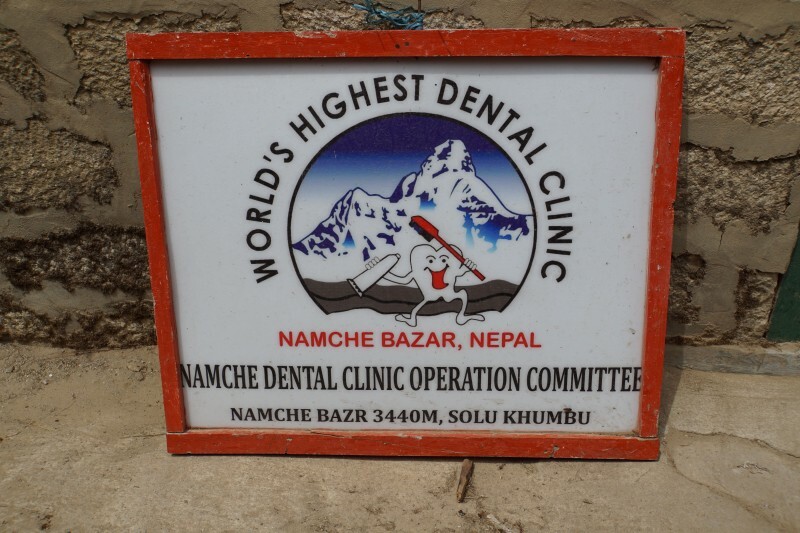 Nawang single-handedly runs the highest dental practice in the world. 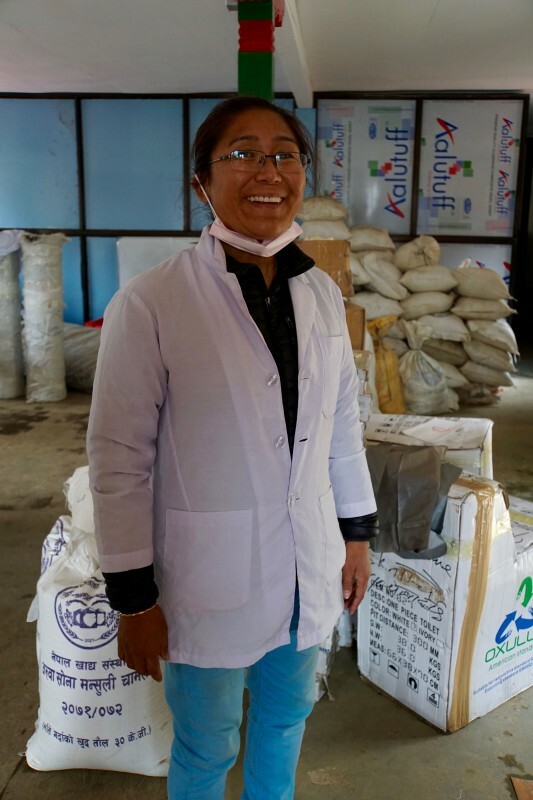 Her clinic was destroyed in the 2015 quake, and so she is temporarily practicing in the basement of the library. She has managed to do amazing things there. 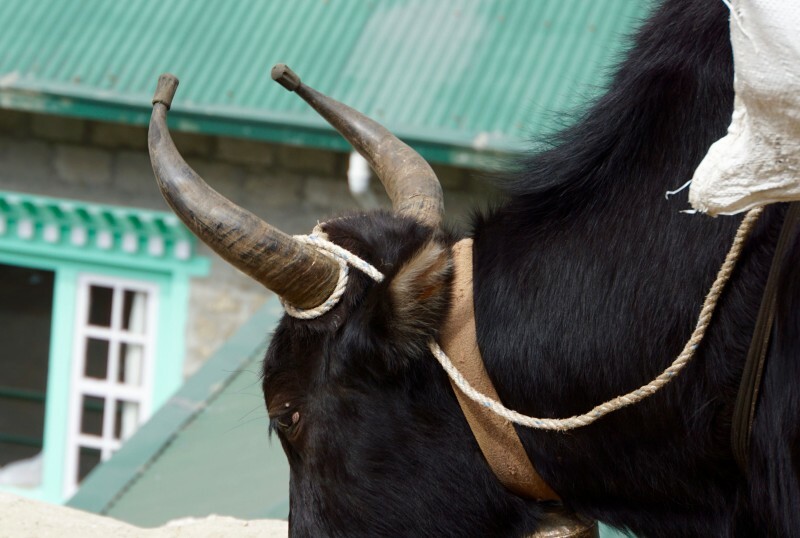 She has a booming practice, caring for the entire Khumbu valley. She had seen six patients the morning we met her, with problems ranging from simple cavities to broken teeth with necrotic roots requiring extraction. She has a very creative approach pediatric dentistry, with an eye towards building trust with children by cleaning with a very gentle technique, and giving them writing implements after the visit. One of my friends, the lovely Dr. Trina Seligman, gave me a box of pencils and crayons to bring on the expedition, and this seemed like the perfect place to make a donation on her behalf. 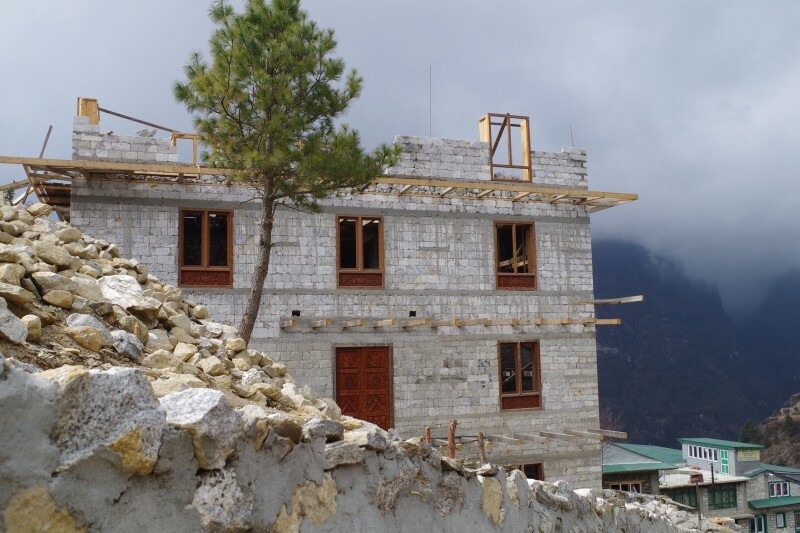 Even more exciting: A brand new clinic is now under construction, built with rubble reclaimed from the destroyed clinic. 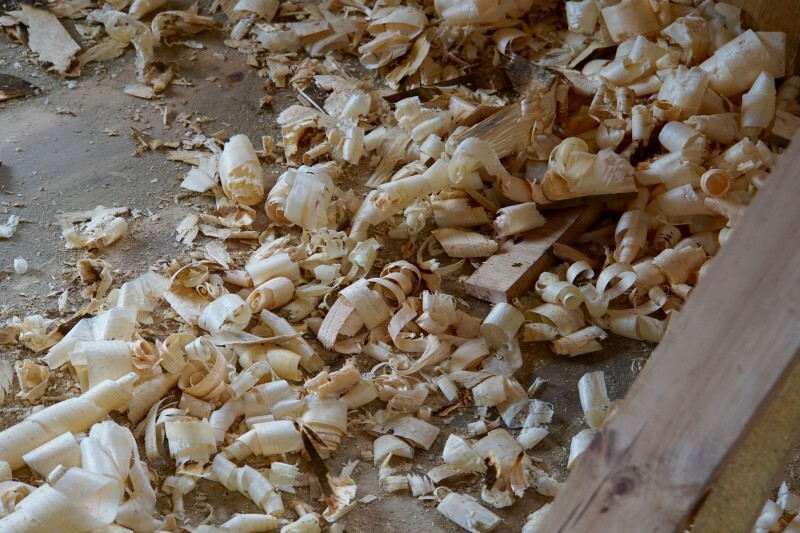 Even the boards have been salvaged, each one re-planed by hand, giving the operating rooms a warm feel. 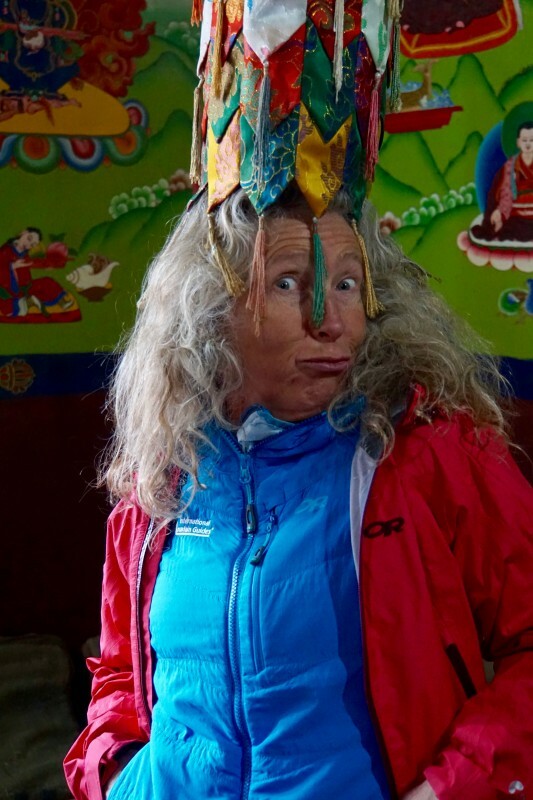 She is totally impressive, and is one of the most respected people in the greater Sherpa community. And, she is completely lovely. I was humbled and delighted to meet her and learn about her many accomplishments. 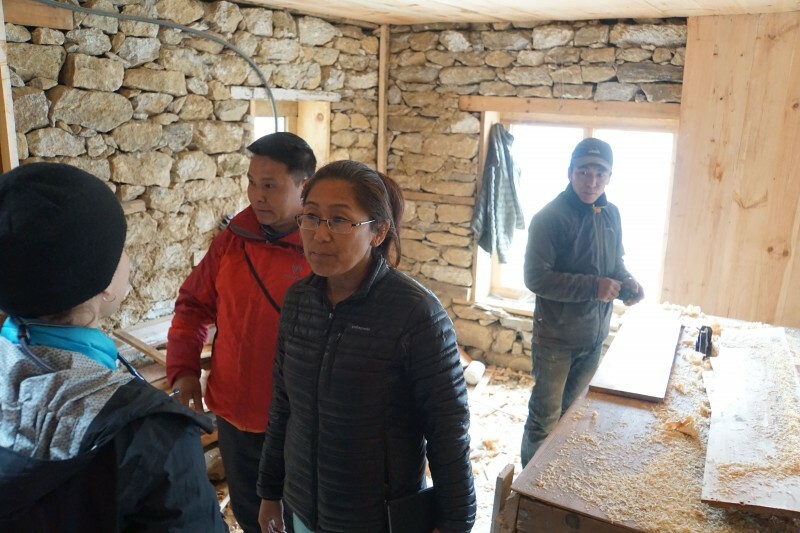 Dr. Nawang Doka Sherpa, a hero of the Khumbu in my book. 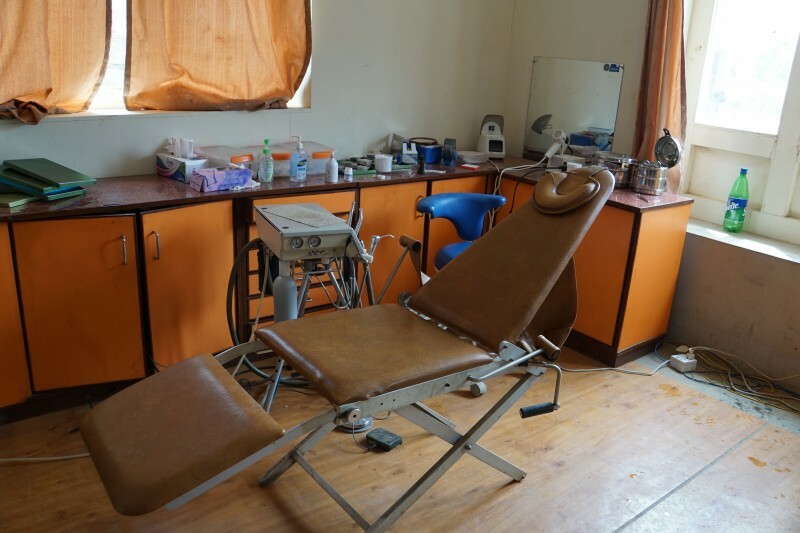 The temporary dental clinic, which serves its purpose while the new one nears completion next door. 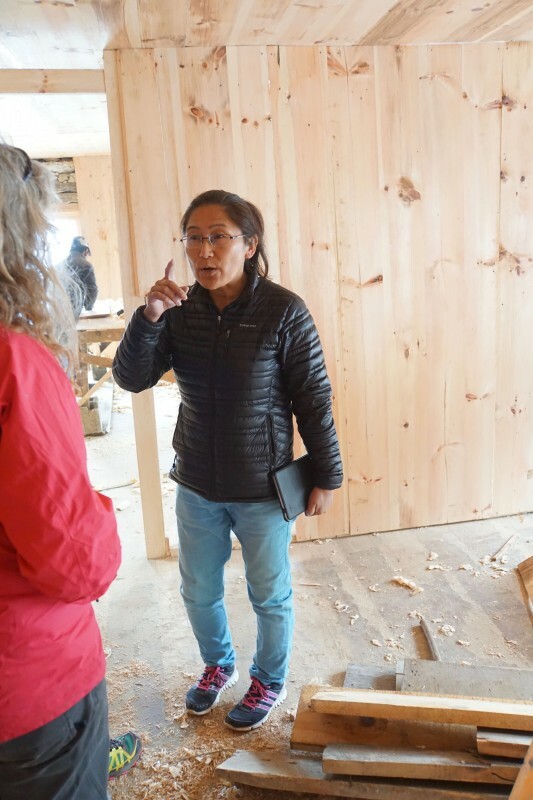 We got to tour the new clinic, still under construction. 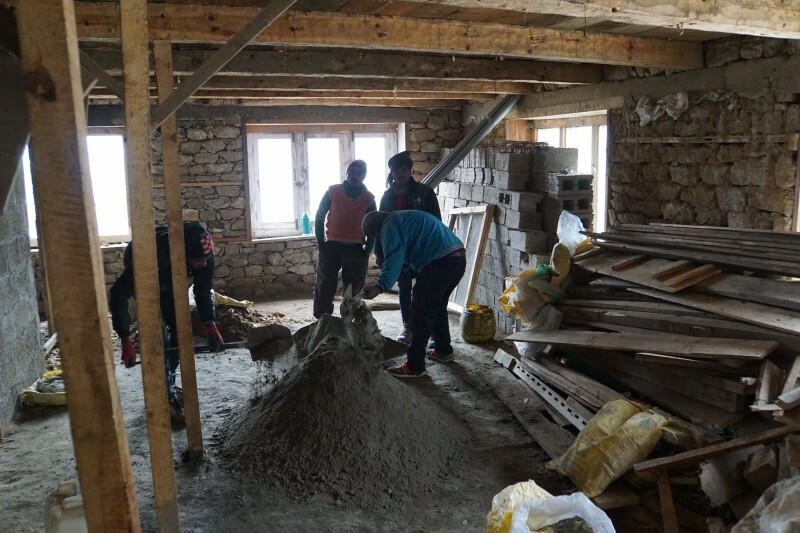 The basement, intended for storage, being sealed with concrete mixed by hand. 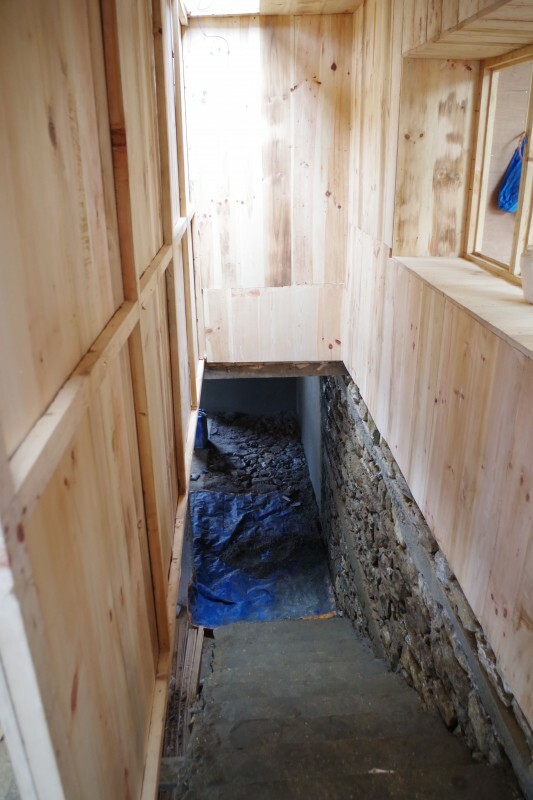 The stairway leading up from the basement to the clinical area of the practice. 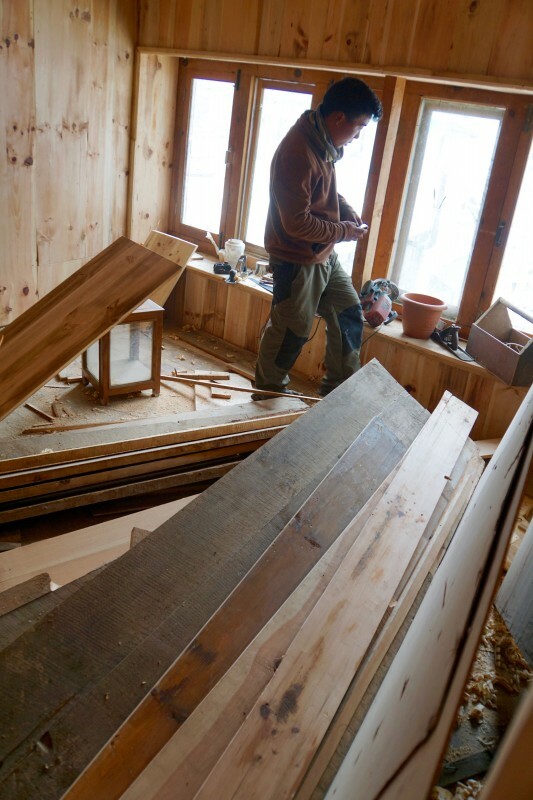 You can see the boards from the old clinic which have been reclaimed and refinished to create a warm, inviting space. 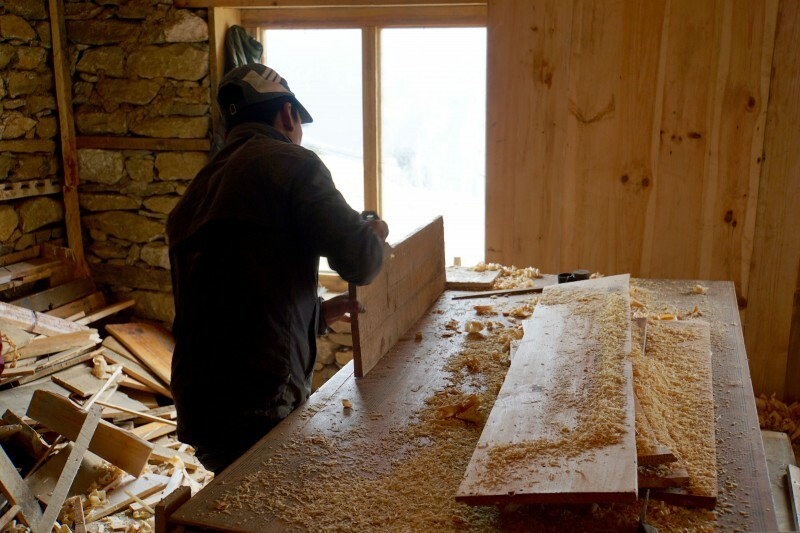 Every board has been carefully planed by hand. Traditional stone construction, but reinforced with rebar in places, and clad with the reclaimed boards. Dr. Nawang showing off one of her new OR’s. 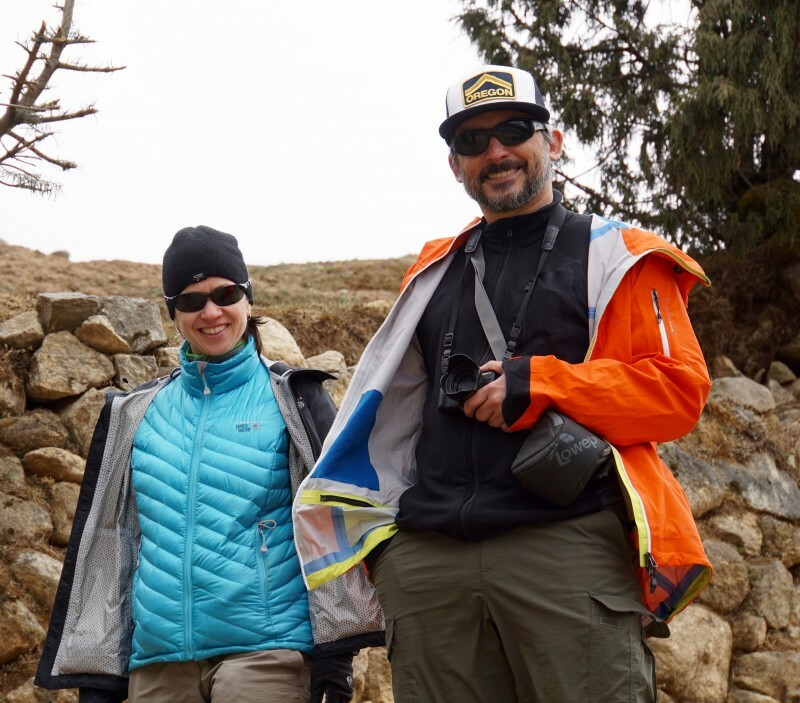 Susan and Yiorgos descending back towards central Namche. 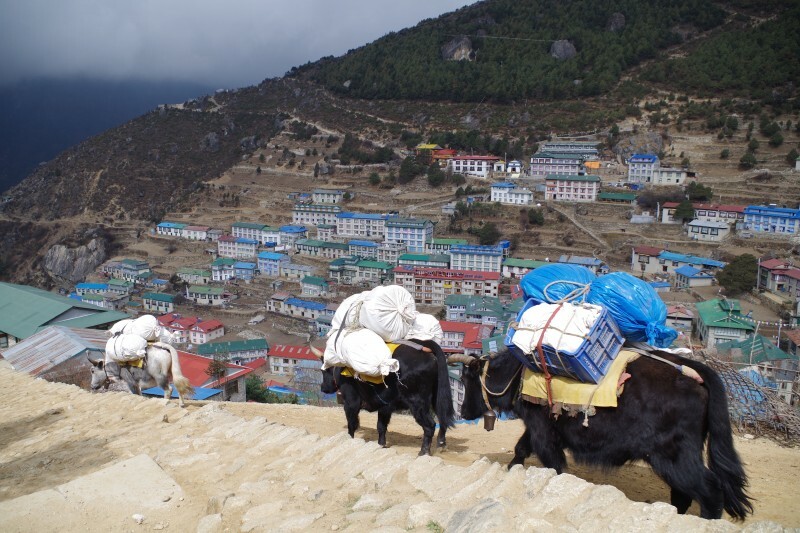 The more time I spend here, the more impressed I become with the Sherpa people. They are doing amazing things, in the face of long odds, with great grace and resilience. 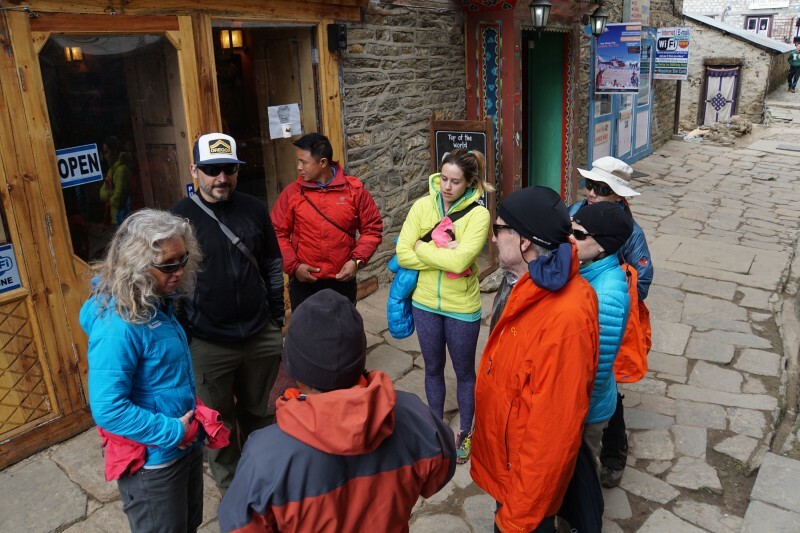 Interacting with them is a big part of the benefit of climbing Everest. The weather turned to garbage, with cold rain, snow, and fog. But, no worries, our spirits are warm. Tomorrow we plan to move to Tengboche… hopefully the weather will cooperate. Hi Paul. 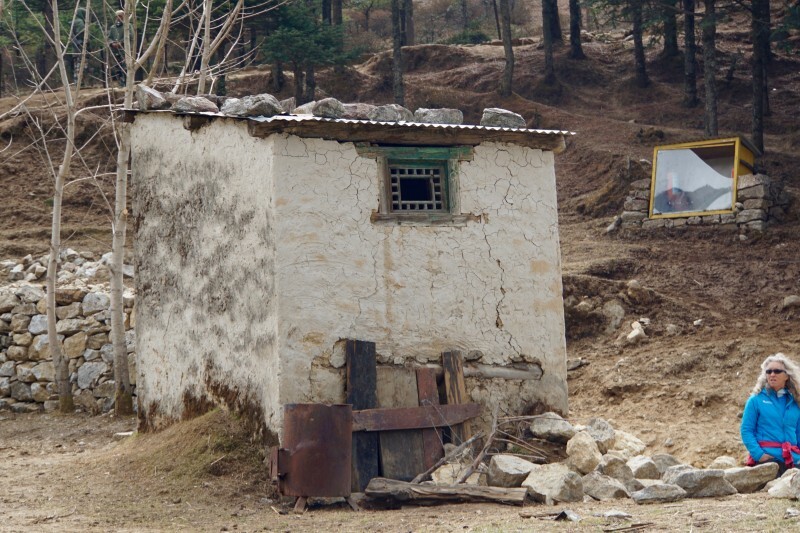 Thanks for the picture of the outhouse. Keep those coming! OK Christina… Will try to feed your fetish if I think of it… Thanks for following! I am so glad your are sharing your pictures and your experiences! Keep sending them and stay safe. Great post p2. And special thanks for the diarrhea update. Go get it tiger. It’s business time. Awesome photos and commentary again. Yes, what an amazing resilient people. 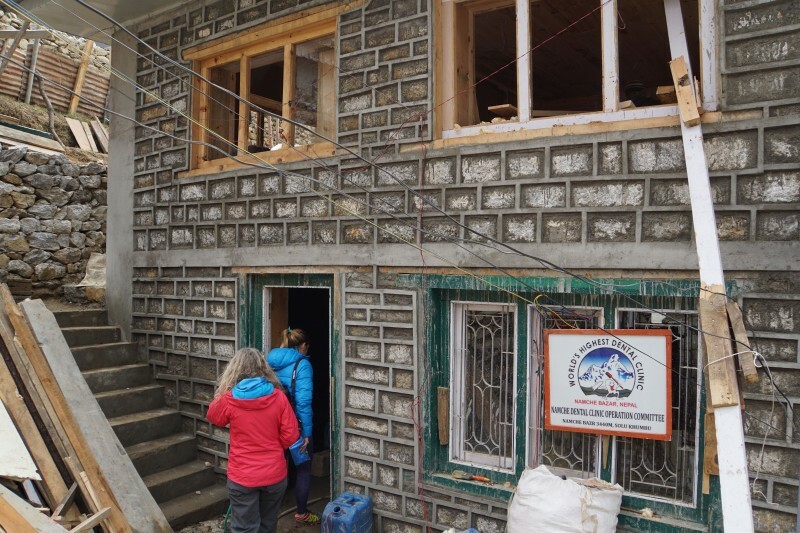 You are the best for transporting that box of writing stuff –and what an honor to be able to help such a strong woman –rebuilding the world’s highest elevation clinic ! Wow (guess I won’t be visiting). That is so awesome the man-made construction for each building material. It’s beautiful. Thanks Trina, you have made a real impact here! 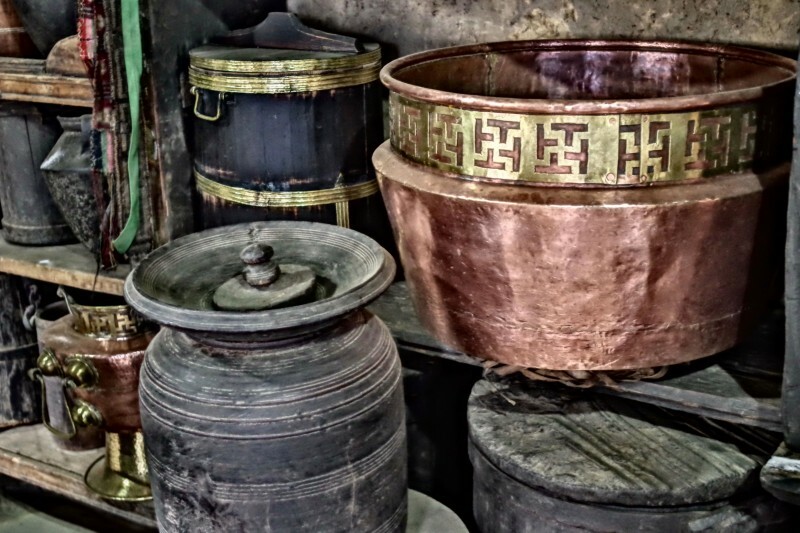 Love the details of your blogs complete with pictures. I know how bad the Internet is, and I know how much this takes you. Thanks for keeping us all informed and able to live vicariously through you. 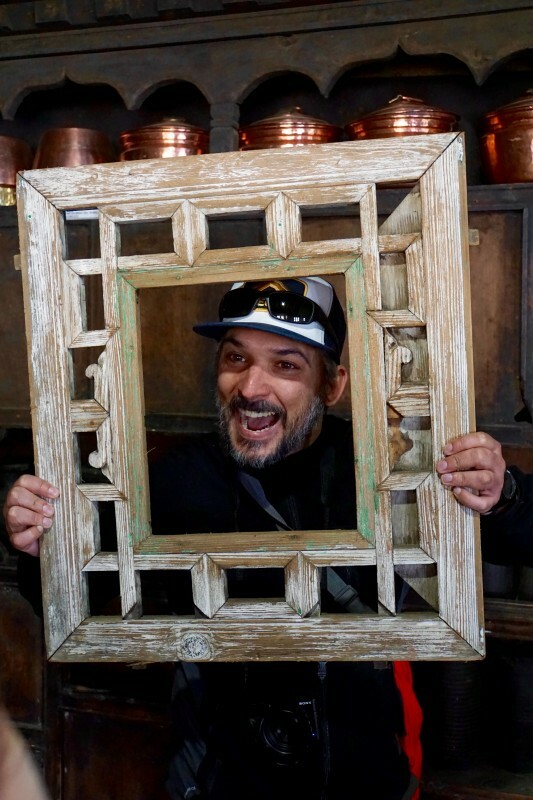 Paul: Terrific blog, thanks, keep up the good work! When you run into my buddy Bob Lowry and his lovely wife, Nicky, give them both a hug for me! I will light a candle for all of you. Thanks Mike! All is good here. Bob and Nicky and I are having a great time. We were talking about you just today!